Asian Journal of Clinical Case Reports for Traditional and Alternative Medicine with Online ISSN 2538-4686 is a peer-reviewed online journal with Continues print on demand compilation of issues published. The journal’s full text is available online at http://ajcrtam.ir. The journal allows free access (Open Access) to its contents and permits authors to self-archive final accepted version of the articles on any OAI-compliant institutional / subject-based repository. 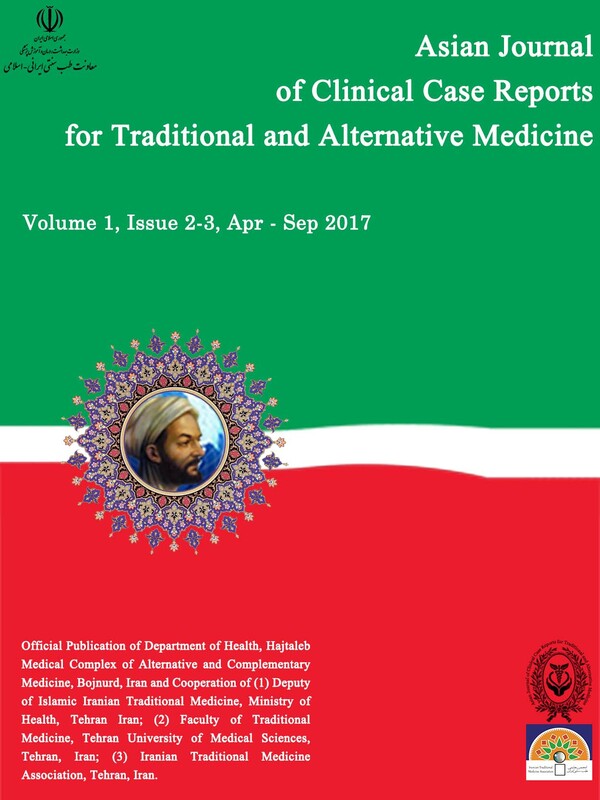 Department of Health, Hajtaleb Medical Complex of Alternative and Complementary Medicine, Bojnurd, Iran and Cooperation of (1) Deputy of Islamic Iranian Traditional Medicine, Ministry of Health, Tehran Iran; (2) Faculty of Traditional Medicine, Tehran University of Medical Sciences, Tehran, Iran; (3) Iranian Traditional Medicine Association, Tehran, Iran.